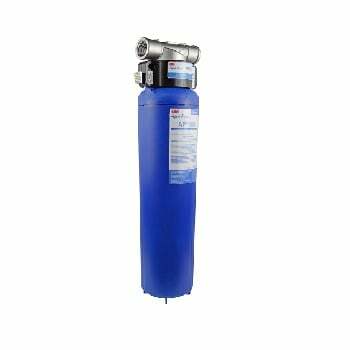 The 3M Aqua-Pure AP902 is a whole house water filter system which is one of the optimal single cartridge whole house water filter systems on the entire water filter market. The 3M Aqua-Pure AP902 features high flow rates up to 20 gallons per minute (GPM) using 1" FNPT inlet/outlet water line connections. The 3M Aqua-Pure AP902 includes the advanced AP910R water filter cartridge which reduces sediment and other impurities (dirt, rust, etc) down to the 5 micron level. 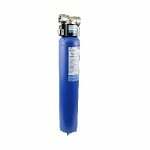 This whole house water filter has a 100,000 gallon capacity or up to one year cartridge life which reduces the multi-year cartridge replacement required with most water filter cartridges. 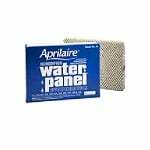 In addition to providing your home with high quality filtered water, the advanced filtration of this whole house water filter system will extend the life of all your household appliances which are connected to the water line. Changing the water filter cartridge is very simple with this whole house water filter system because it utilizes a Sanitary Quick Change (SQC) cartridge which allows for fast and easy cartridge changes without the use of filter wrenches. This 3M Aqua-Pure AP902 whole house filter housing includes a mounting bracket for simple installation in most home based applications. The 3M Aqua-Pure AP902 water filter housing has a 304 stainless steel head and high quality zinc locking latch.